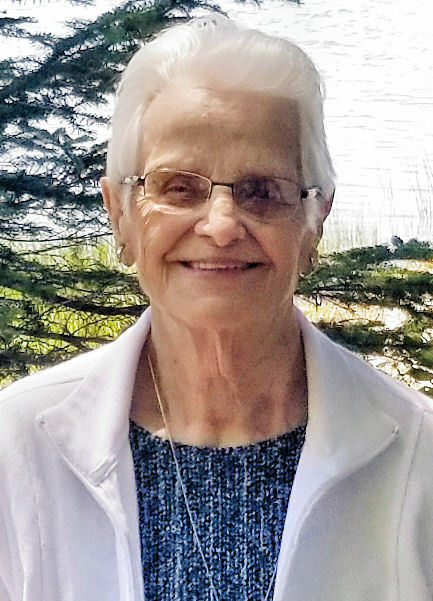 Dorothy Alice (Libby) Marsh, 90, died October 1, 2018 at Eastern Maine Medical Center following a brief illness. Dorothy was born on October 29, 1927 at the family farm in Charleston to her parents, Elmer “Sport” Libby and Ada (Hall) Libby. Her youth was spent working on the farm, attending local schools and playing sports. She graduated from Higgins Classical Institute in 1945. In the fall of 1945 at the age of 17, she began her long career in education teaching grades 1-9 in a one room school house in Atkinson, Maine. In 1946, the day after turning 19, she married Henry Marsh and moved to “East” Corinth where she resided on the Marsh Road the rest of her life. Dorothy’s career in education involved many communities. After teaching in Atkinson, she taught in a one room school in Glenburn from 1945-1947. In Corinth she taught in a one room school house and experienced the transition to the Morison Memorial School in 1951. In 1961 Dorothy made a career move to the Bangor school system where she taught at Fairmount School and later became one of the first elementary guidance counselors in Maine. She often referred to her former students as “her kids” and remained very interested in education. While teaching Dorothy helped run the family dairy farm with Henry from 1946-1963 and drove school bus from 1946-1959 transporting students in East Corinth. 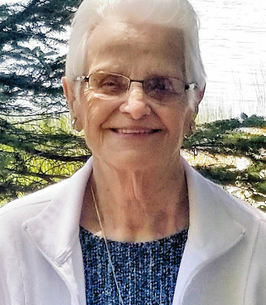 Many trips were made to the University of Maine at Orono while attending classes during evenings, Saturdays and summers until she received her BS degree in education in 1960. In 1963 she received her MS degree in guidance education. Dorothy retired in 1987 after more than 40 years in education. During her retirement years she enjoyed reading, gardening, delivering vegetables to friends and neighbors, playing cards and board games, and visiting friends. She was always very interested in town government and the local alumni association. In recent years, she especially enjoyed attending the Charleston Historical Society meetings. Dorothy is predeceased by her parents Elmer and Ada Libby and her husband, Henry Irving Marsh. She is survived by her daughter, Gloria Burleigh and son-in-law Glenn Burleigh; son, Elmer Gerry Marsh and Judith Kuchinski, granddaughters Jodi Hanson and husband Brad, Jamie Gallant and husband Gary, and grandson Andrew Marsh and Catherine Shipley, great grandchildren include Cassidy and Kendall Hanson, Brookelin, Marshall and Mitchell Gallant. Affectionately called “Grammie Dot” by her step grandchildren Glenn Burleigh II, and wife Glenna, Pamela Cleaves and husband Paul, Cynthia Owens and husband Gary, step great grandchildren, Glenn Burleigh III, Joshua Burleigh, Angela Burleigh, Geneva “Jenny” Cleaves, William “Zeb” Cleaves, Caitlyn Owens, Christopher Owens, and great, great step granddaughter Mackenzie Owens. Dorothy leaves behind many former students who have been life-long friends, wonderful neighbors, and many card playing buddies. Friends may call from 5-7 PM, Friday, Oct. 5, at Brookings-Smith, 133 Center Street, Bangor, where funeral services will be held at 11 AM, Saturday, Oct. 6. The family invites relatives and friends to share conversation and refreshments at the Family Reception Center of Brookings-Smith, 163 Center Street, Bangor, following the service. Interment will be at Corinthian Cemetery, Corinth, following the reception. Gifts in Dorothy’s memory may be sent to the ECA/CHS Alumni Scholarship Fund in care of Leslee Stone, 1711 Avenue Road, Exeter, ME 04435. Condolences to the family may be expressed at BrookingsSmith.com. Dear Dorothy~~~~~ such a precious person, who contributed unfathomable amount to many many many of us. Sad to see you leave us....look forward to seeing you again one day.